I am the founder of this relatively new healing modality which is easy to learn and can be used alongside several other energy healing modalities i.e. Reiki, acupuncture, etc. and it can be used for people, animals, world peace, and in fact, just about anything. Many people, after being attuned to PRISMology, have said they feel a strong connection to ancient Egypt. Others have experienced increased clarity, closer contact with their guides and the ability to communicate telepathically with animals. This modality is strongly connected to the earth energies of Mother Nature and all living beings; healing sessions are quick and very effective. In this course you will learn how these energies can be used to support all living beings in their healing, including the planet itself, and an animal chakra balancing technique. Many people have experienced an increase in animal spiritual clarity after being attuned to this beautiful energy system. As with Reiki, this energy is channeled from the practitioners hands out to the person or animal to help clear any blockages within the aura (energetic field). PRISMology always works for the recipients highest good. 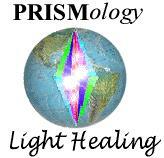 This course is divided into two parts; part one, 10 energy symbols and their uses and part 2, the attunement process. The Master certificate will be e-mailed to you on the successful completion of this course.